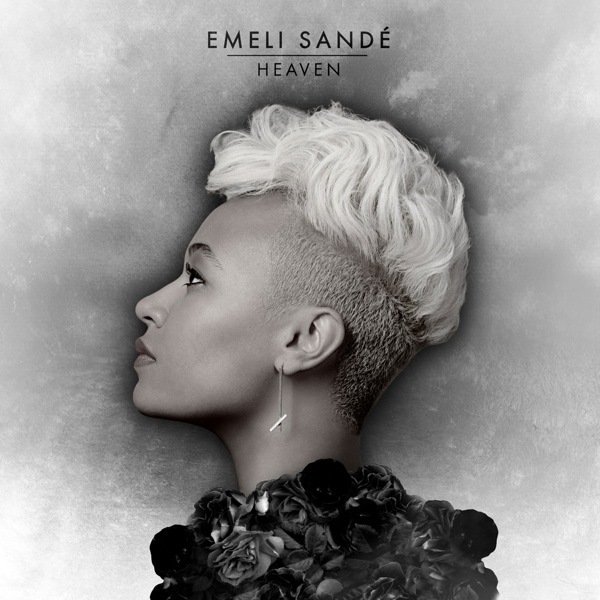 "Heaven" is the debut single from British recording artist Emeli Sandé. It was released by Virgin Records after she signed a record deal with the label after the success of single "Never Be Your Woman" which Sandé was featured as a guest artist. It is also be the first release from Sandé's first debut album, Our Version of Events, on 14 August 2011. The single was added to BBC Radio 1's playlist in June 2011. The song was also crowned record of the week by the station’s daytime DJ, Fearne Cotton. The single is written by Sandé, Naughty Boy, Craze and Hoax, with producer Mike Spencer. The song is clearly reminiscent of Massive Attack's 'Unfinished Sympathy.' A haunting keyboard intro gives way to a drumbeat where the resemblance becomes apparent. The song gained all positive reviews from critics; Digital Spy said that the song is a mixture of pacey house beats, mellow strings and Mark Ronson-esque horn sections. The song was also compared to Leona Lewis (whom Sandé has written tracks for) and Yasmin. One critic said that the song was ticking all the good boxes in modern urban music." Critics also said that the song "stunned" them when they heard the song. The single was released accompanied by a music video, which was filmed in London, United Kingdom which premiered on August 22, 2011 on Emeli Sandé's official YouTube account. Throughout the video the music has scenes of Sandé singing to the sky, and standing outside of a Cathedral, there are also many shots where Mary, the mother of Jesus' statue is seen in the video. The single was released via digital download and 7" vinyl on 14 August and 15 August 2011, respectively. The single was made to pre-order several weeks before it was released on iTunes. 'Our Version Of Events' is the sound of a major label throwing a shed-load of money at an artist to get them established among the mainstream landscape straightaway. Sande has to branch out if she wants to attract more than just capital FM listeners and V-festival attendees. All in all 'Our Version Of Event' doesn't match the energy of this first single and sadly sees Sande treading in the already well covered polished love ballad numbers. She's better than that.